I love an Artist Date. Sometimes in the middle of everything that life throws at you an unexpected AD is a lifesaver. 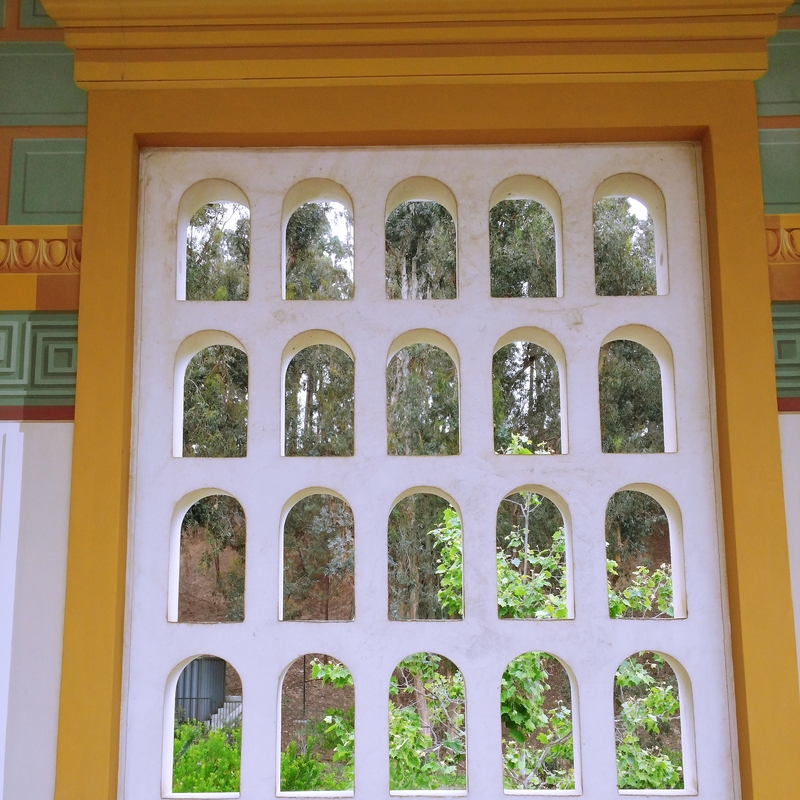 Last week, when the house was feeling a little small, I ventured out to the Getty Villa. Have you ever been? I’ve been to the Museum’s sister site the J. Paul Getty Museum (perched above the 405) a handful of times. Though I don’t care much for the actual art collection, I love the architecture and it offers one of the best views of LA, without having to work too hard. 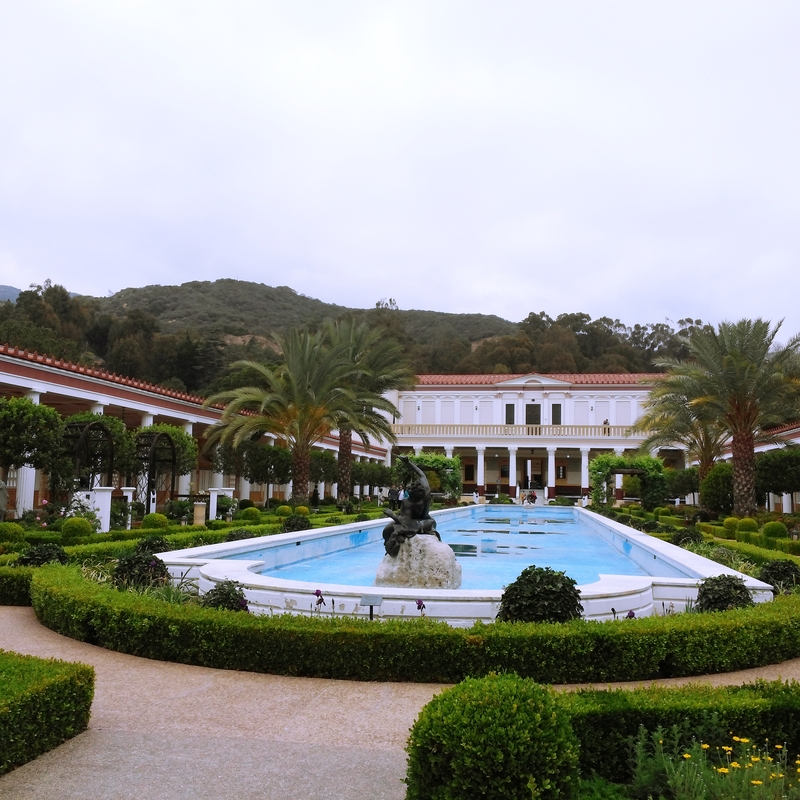 But the Getty Villa in Malibu (technically Pacific Palisades) is a whole different vibe. 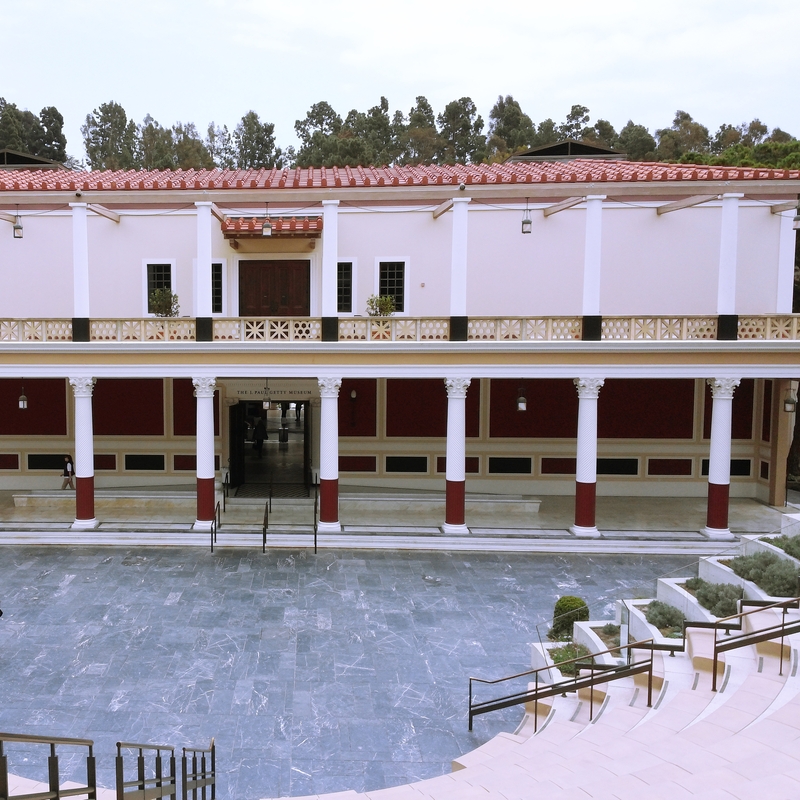 The Getty Villa is modeled after a roman country house, Villa dei Papiri, that was buried in the eruption of Mount Vesuvius in AD 79. 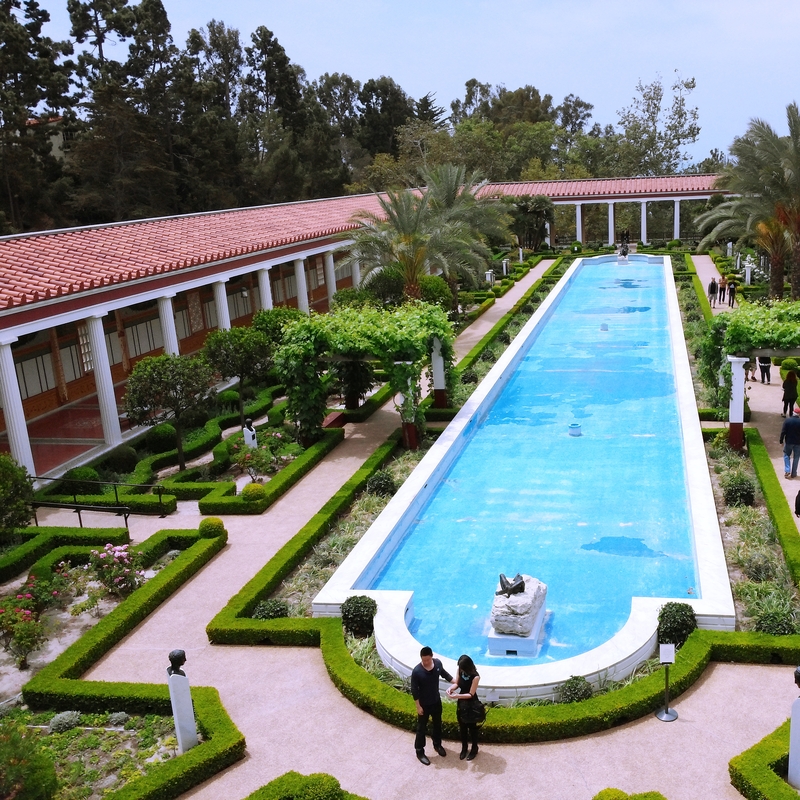 Originally serving as a gallery adjacent to oil tycoon J. Paul Getty’s Pacific Palisades home, today the Villa is dedicated to the study of the arts and cultures of ancient Greece and Rome and features several beautiful gardens . Although the Villa officially opened in 1974, Getty who died in 1976, never visited it. But rumor has it he is buried on the property. 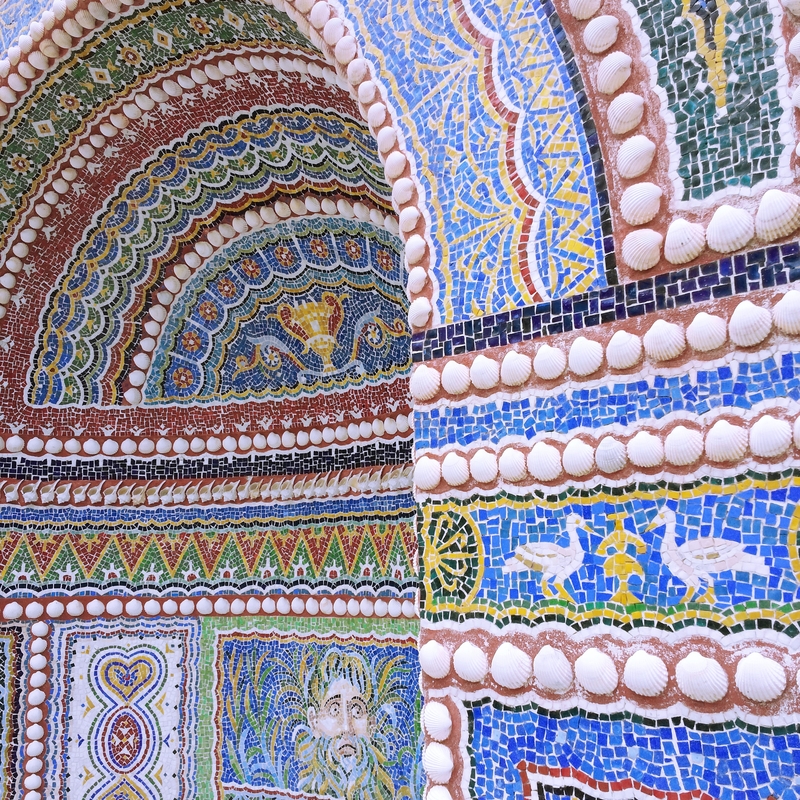 Want a little more drama, well, Greek and Italian governments have made claims that some of the items in the Villa collection where actually looted. Oooh. You should also know that admission is free but parking onsite is $15, but it’s well worth it. The Outer Peristyle features Bronze replicas of statues found at the Villa dei Papiri and is a feast for the eyes. Perfectly manicured hedges create the perfect backdrop for a quiet and contemplative walk. 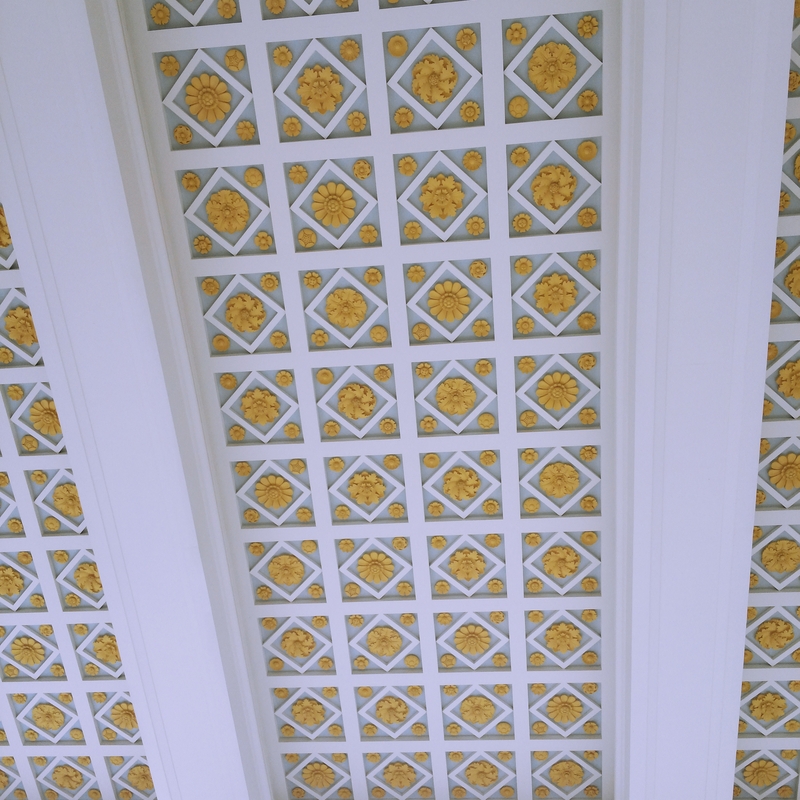 Even the architecture surrounding the Outer Peristyle gives you cause for pause with engaging details throughout. If you’re lucky you’ll get a glimpse of the sun through these outdoor windows. The shadows it casts against the beautiful tile work is pretty sweet. This fountain adorned with theater masks and shells can be found in the East Garden. 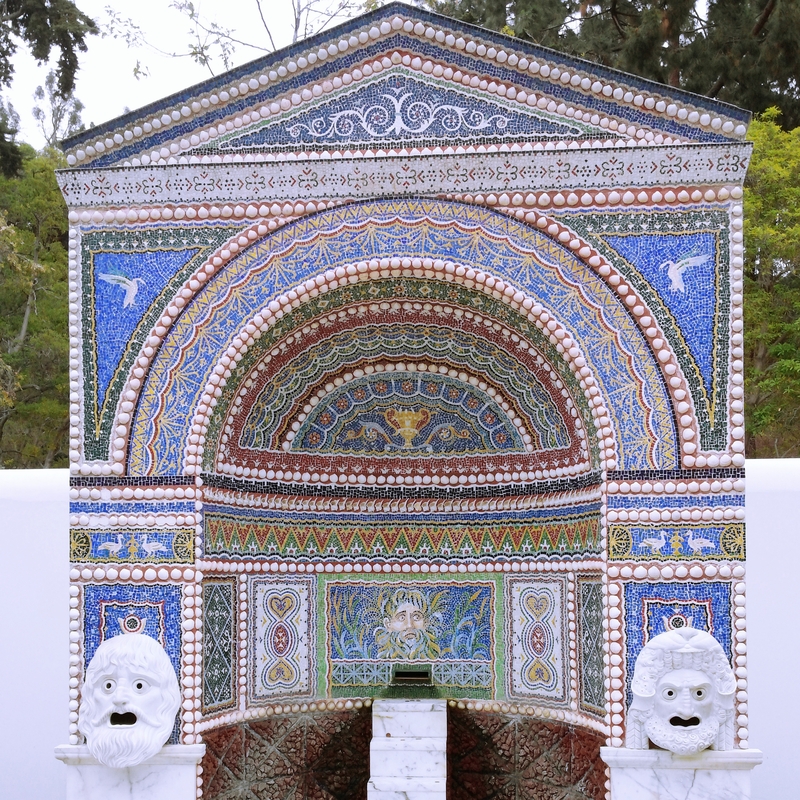 It is a replica of an ancient fountian found in the House of the Large Fountain in Pompei. It is stunning! Unfortunately, I didn’t see it in it’s full glory as the Villa has stopped running their water features because of the drought we are experiencing here in CA. Although I appreciate this responsible stance, I couldn’t help but think there was a bit of magic missing from some of these beautiful pieces as a result. I guess I’ll just have to come back when we’ve bounced back. Throughout the year the auditorium features events including lectures and classical drama performances. I can’t wait to come back and check out a performance in this space. Where are you heading for your next Artist Date? I’ve got a few spots I’m really looking forward to in the next couple of months, I hope you do to!